Born in Ethiopia in 1974, Aida Muluneh left the country at a young age and spent an itinerant childhood between Yemen and England. After several years in a boarding school in Cyprus, she finally settled in Canada in 1985. 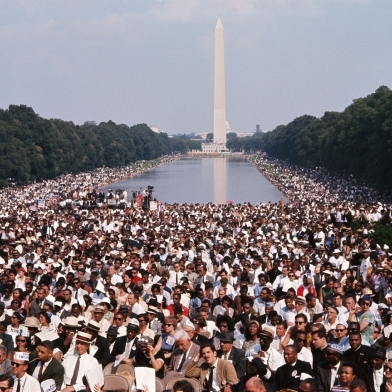 In 2000, she graduated with a degree from the Communication Department with a major in Film from Howard University in Washington D.C. After graduation she worked as a photojournalist at the Washington Post, however her work can be found in several international publications. 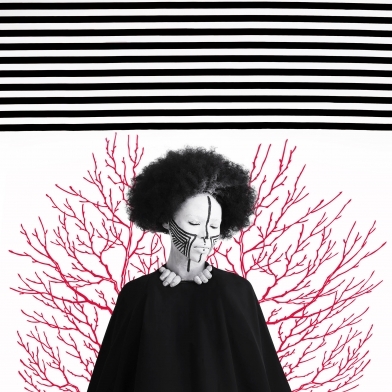 Muluneh's works express what it is to be an African woman, to encapsulate gender and identity, and to situate it within the colonial experience. She attempts to interrogate the foreign gaze and also to raise the awareness of the impact of photography in shaping cultural perceptions. 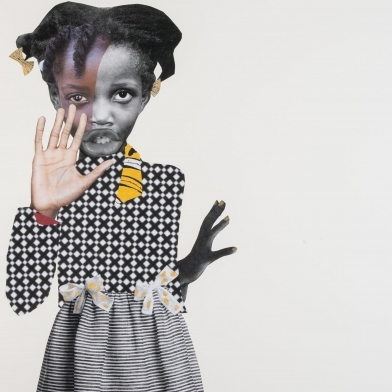 Her most recent series, The Memory of Hope, explores the optimism that once defined her youth. She recalls what is was like to embrace hope with excitement and confidence and to boldly claim a strong opinion regarding what was right and wrong in the world. The reality she discovered with age reflects a much darker side of humanity than she could have ever expected. 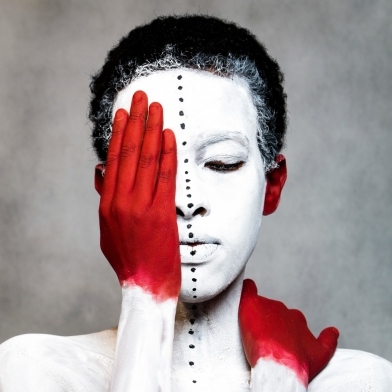 Through the series, Muluneh aims to amplify what we try not to hear nor see. 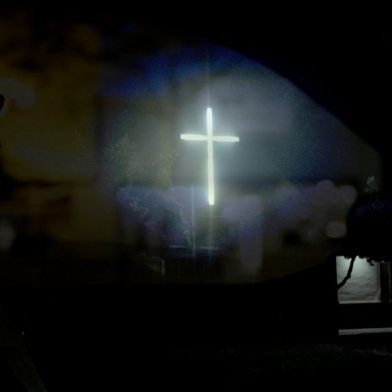 She makes us witnesses as she takes action. Muluneh’s vibrant photographs were recently acquired by MoMA and featured in their exhibition, Being: New Photography 2018. 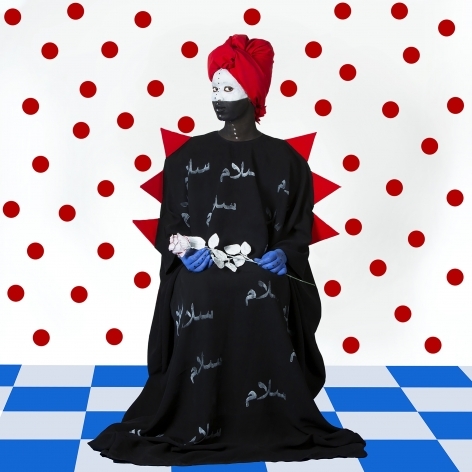 Muluneh has been exhibited internationally, including in recent shows: Reflections of Hope (Agha Khan Museum, Toronto), Festival La Gacilly (Austria), the Daegu Photo Biennale (South Korea), and In Their Own Form (Museum of Contemporary Photography, Chicago). She was awarded the 2018 Catchlight Fellowship. 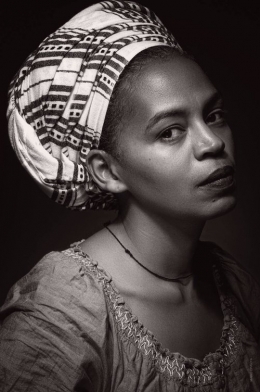 She is the 2007 recipient of the European Union Prize in the Rencontres Africaines de la Photographie, in Bamako, Mali as well as the 2010 winner of the CRAF International Award of Photography in Spilimbergo, Italy. 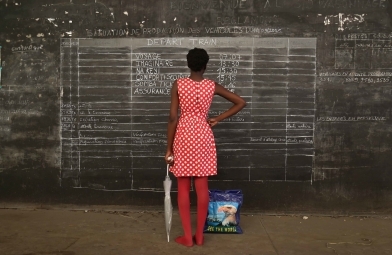 In 2017, she participated in Afrique Capitales in Paris and in the Dakar Biennale. Muluneh founded the Addis Foto Fest, the first international photography festival in Ethiopia, and was recently interviewed by the New York Times on the festival. She continues to educate, curate and develop cultural projects with local and international institutions through her company DESTA (Developing and Educating Society Through Art) For Africa Creative Consulting PLC (DFA) in Addis Ababa, Ethiopia. As one of the leading experts on photography from Africa, she has been a jury member on several photography competitions most notably the Sony World Photography Awards 2017 and the World Press Photo Contest 2017. She has also been on various panel discussions on photography in events such as African Union cultural summit, Art Basel and Tedx/Johannesburg. 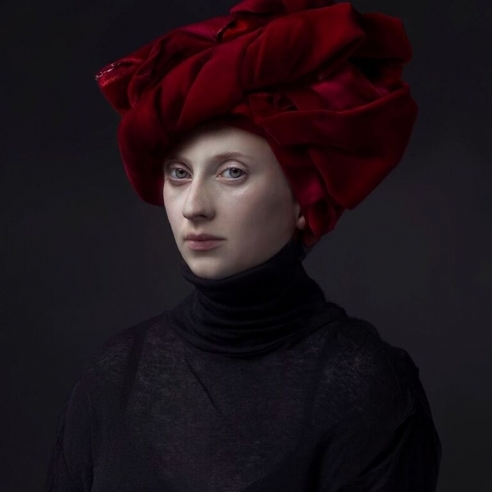 She has been featured by the New York Times, Time Magazine, Artnews, Vice, the Washington Post, the Guardian, and the British Journal of Photography. 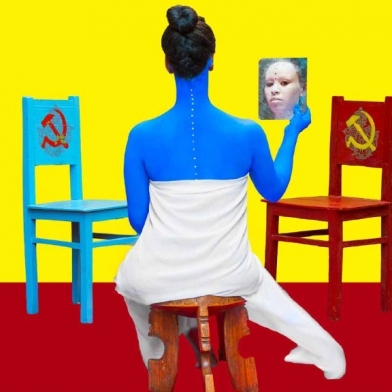 As an exhibiting artist, Aida’s work has been shown in South Africa, Mali, Senegal, Egypt, Canada, United States of America, France, Germany, England, China, to name a few countries. 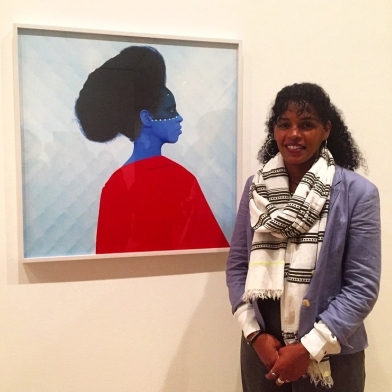 Aida is in the permanent collection of the Smithsonian’s National Museum of African Art, the Schomburg Center for Research on Black Culture, the Toledo Museum of Art, Hood Museum, the Museum of Biblical Art, and the National Gallery of Victoria, Australia. Muluneh lives in Ethiopia. 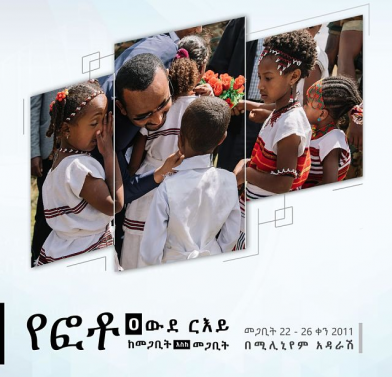 New York (TADIAS) – A photo exhibition kicked-off in Addis Ababa this weekend celebrating a year of historic reforms under the new Prime Minister Abiy Ahmed who was inaugurated into office one year ago on April 2nd. 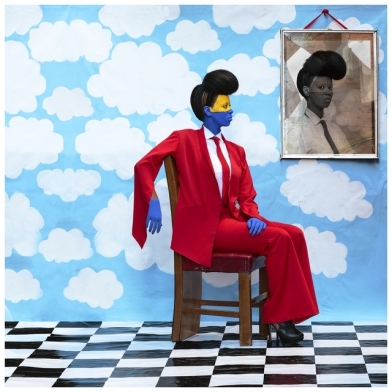 TIME Magazine invited photographer Aida Muluneh to create images for the 2019 Optimists issue. 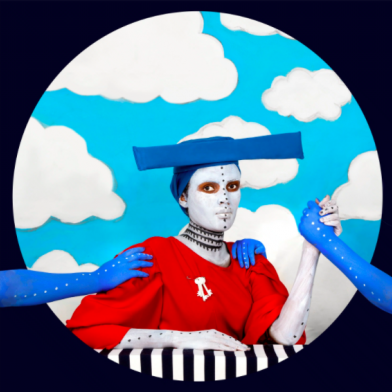 While the photography festival season may be quietening down, there are still plenty of exciting events happening across the world this December, with Addis Foto Fest (Ethiopia), Angkor Photo Festival (Cambodia) and Miami Street Photography Festival (United States) all opening their doors to the public. 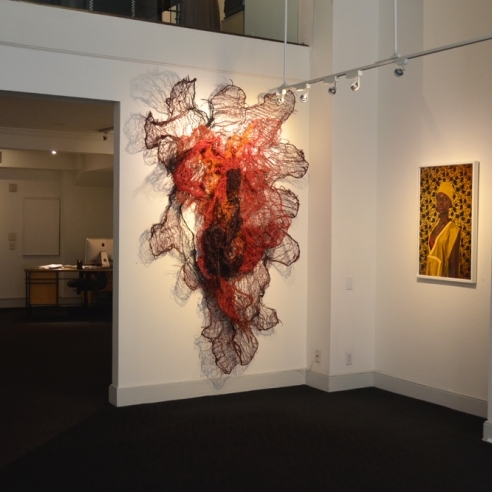 Learn more about their exhibition programs and supporting events. 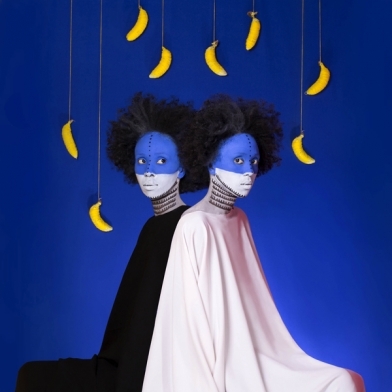 Addis Foto Fest, founded by photographer Aida Muluneh, aims to give photographers from Africa a platform to capture the cultural complexities and diverse histories of the countries they call home. 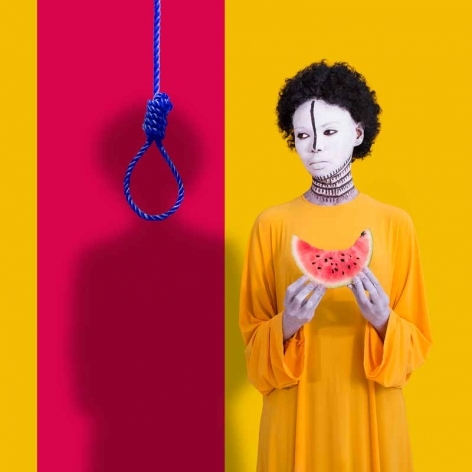 In her interview with Global Voices, Aida Muluneh explains her journey as a fine art photographer and her tireless efforts to train and empower other African artists who also challenge stereotypes about the continent. 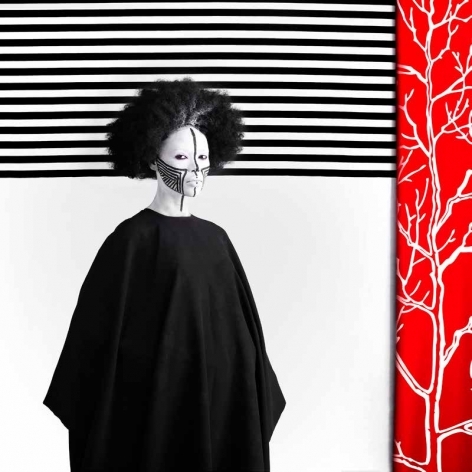 Elyssa Goodman breaks down Aida Muluneh's photography and the story she is telling both through her work and her success in the art world. 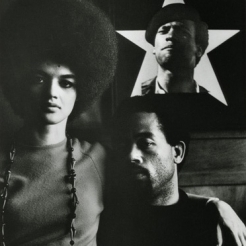 While there is no shortage of remarkable vintage photographs on view at AIPAD’s The Photography Show this year, it’s the contemporary photography, which is most prominent when entering the fair, that continually catches the eye. Many images of Africa in Western media focus on war, famine or other crises that trouble the continent. 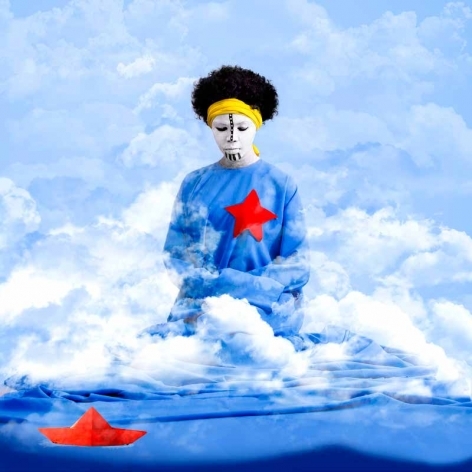 But Ethiopian artist Aïda Muluneh wants to help people understand that there's more to her country than what they typically see in the news. 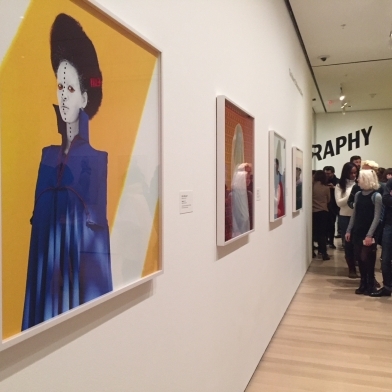 Every year in April, photography dealers from around the world descend on New York for the Photography Show, bringing with them a cornucopia of photography and photo-based work, from salt prints to digital pieces. As usual, the fair, which runs through Sunday, did not disappoint. Images culled from three centuries of world history are now on view at The Photography Show, presented by the Association of International Photography Art Dealers (AIPAD). 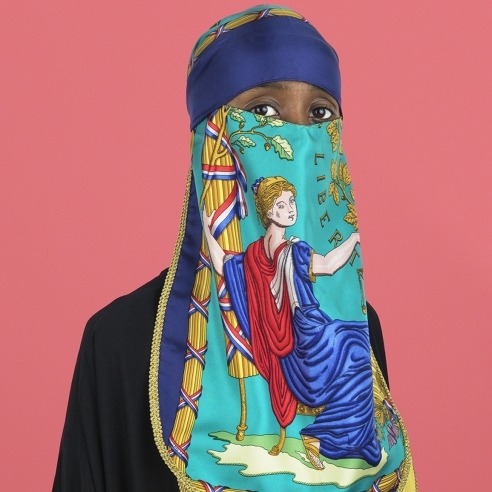 Located at Pier 94, this year’s iteration features works from an 1851 photograph of the Temple of Jupiter in Pompeii (on view at Gary Edwards Gallery’s booth) to a 2017 print that went viral thanks to a New Yorker story (Elinor Carucci’s Kiss). 96 galleries are present, and many are boasting rosters of legendary names—from Dorothea Lange and Richard Avedon to André Kertész and Ansel Adams, many of the medium’s most famous practitioners are present. Yet the fair is also a goldmine for fairgoers eager for something new. 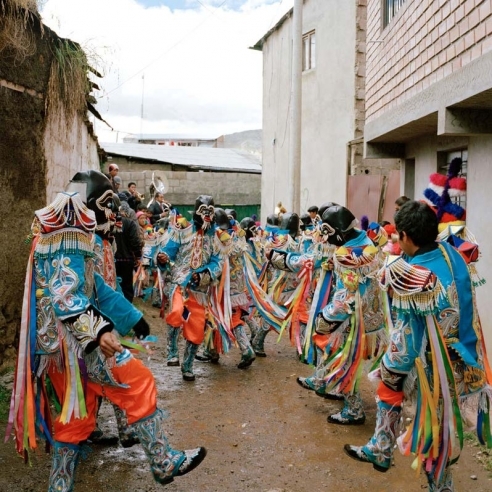 Below, we’ve rounded up 10 contemporary photographers to check out while you roam the aisles. Their practices are rooted in both fantasy and social engagement, their concerns ranging from the female body to upstate New York car washes. New York - The Photography Show will be held Thursday, April 5, through Sunday, April 8, 2018, at Pier 94 in New York City. The 38th edition of the Show will feature 96 of the world’s leading fine art photography galleries, over 30 book sellers, 15 AIPAD talks, three special exhibitions, one screening room, and more. 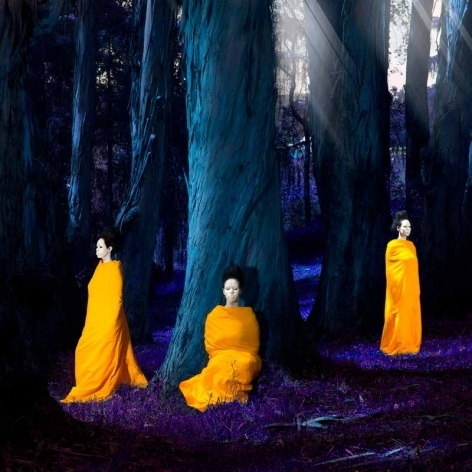 With over 100 globally leading fine art photography galleries participating, the Association of International Photography Art Dealers (AIPAD) is all set to showcase its 38th edition of the prestigious The Photography Show in New York. When I create my photographs I am responding to the many images of war, suffering and hate that bombard us daily. 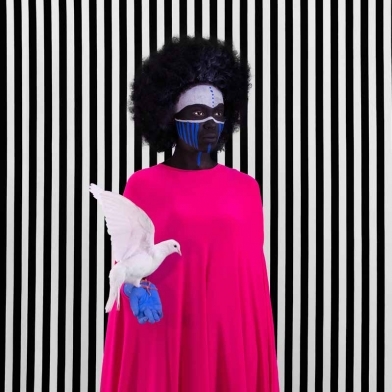 And my own efforts underscore my belief that as Africans we must be part of the creation of images that tell the story of a continent in transition between past, present and future through our own authentic voices and lenses. Aida Muluneh's photographs are showstoppers—quite literally. 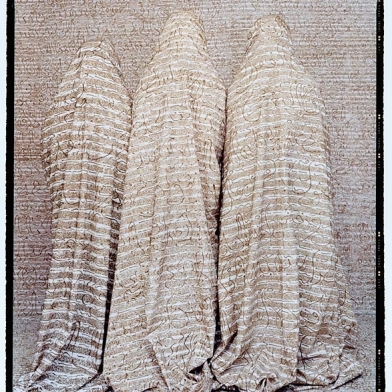 The inaugural exhibition opened in August 1985, curated by the late, great John Szarkowski, and over the following 32 years, these shows have remained true to their moniker, tracking some of the most exciting developments in new photography in its myriad forms – be that in books, on screens, in posters or through zines. In its latest survey of new photography, the museum examines being in the world—with some powerful results. 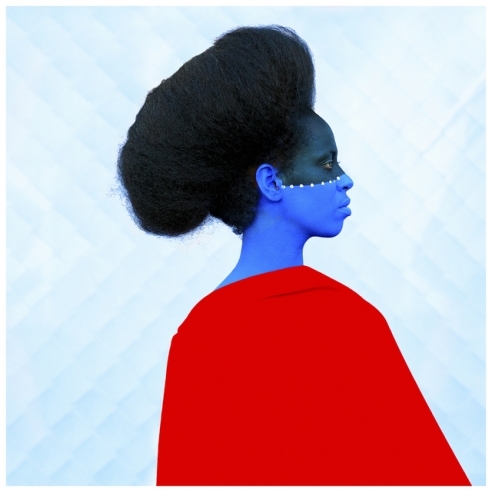 Aida Muluneh is a photographer with a world-spanning practice and reputation. In 2016 alone, she had shows in New York and Johannesburg, continued to run the biennial Addis Foto Fest (which she founded in 2010), did a TEDx talk, and extended her photojournalistic and artistic practices. Her artwork is in the collection of the Smithsonian, she has won an award from the European Union, and she has spoken at Art Basel and at New York’s ICI, all while her photojournalism has been published by outlets like the Washington Post. 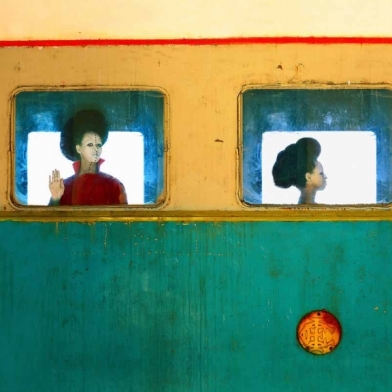 Ethiopian photographer and contemporary artist Aida Muluneh has lived all over the world before returning to her homeland where she found inspiration for her art.